 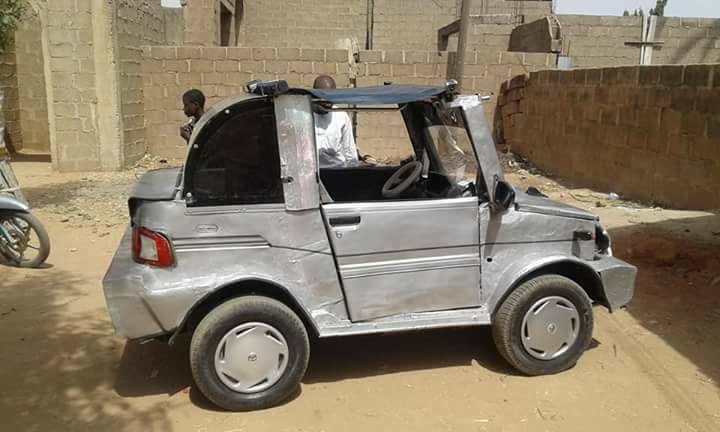 Nigeria has really got talents. 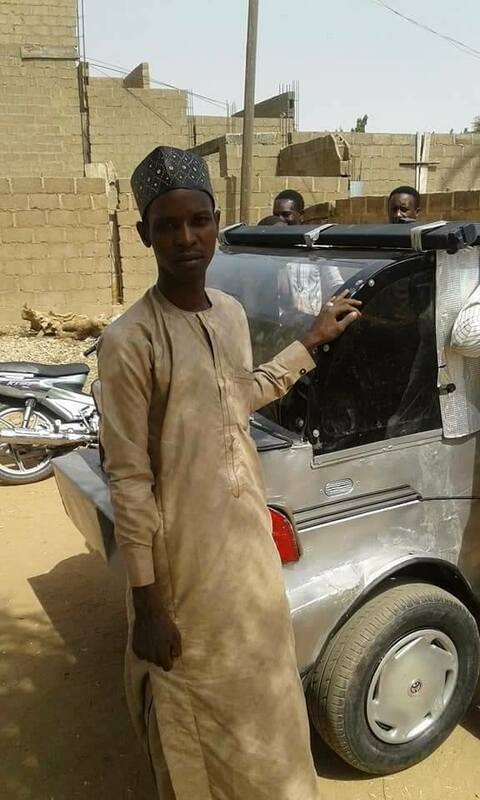 A gifted young man identified as Muhammad Mustapha (Auwal) garnered attention to himself after he constructed this “unique” vehicle with locally sourced materials. 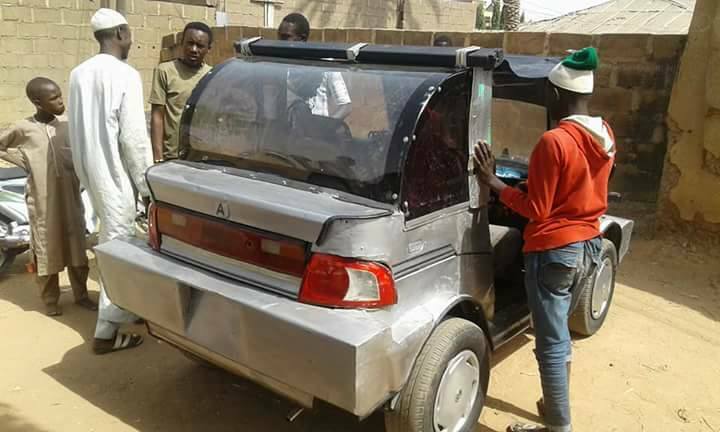 The man who is said to come from Gombe state, drove the vehicle as residents and passersby surrounded him to see his customized car. 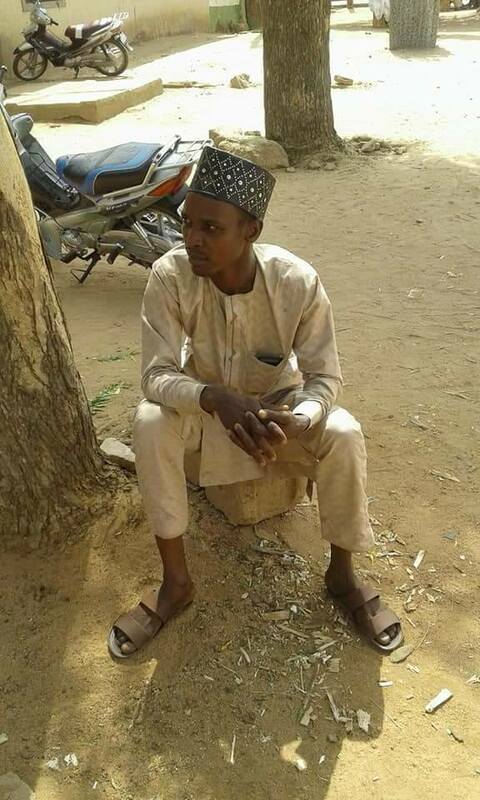 Photos of the guy were posted online in order to get the attention of the state government to harness his skills.